Weeks after launching at our Social Venture Showcase event, BUILD program alumni Trixie Ling is presenting another pop-up dinner: A Night of Syrian Feast, Music & Storytelling with refugee and immigrant women on April 7th - get your tickets! Trixie is the founder of Flavours of Hope, a social enterprise with a vision to provide a living wage and build social connections for immigrant and refugee women through cooking and sharing culinary traditions and stories. Come, eat and learn about the food, culture and stories of refugee women in our community at our next Flavours of Hope's Pop-Up Night of Syrian Feast, Music and Storytelling on Saturday, April 7 at Kitsilano Neighbourhood House. Taste the diverse flavours of dishes from Damascus while listening to Syrian music and sharing stories of food, culture and friendship. 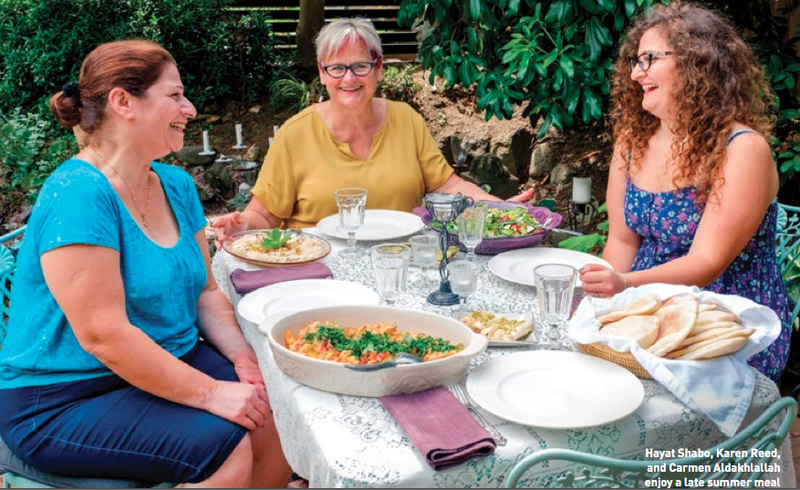 Hayat and Carmen, a Syrian mother and daughter, will create a feast of traditional cuisine from their family recipes. We will hear more about their story of building their business, Taste of Damascus. Older PostJUNCO Design is flying high!